Get the best of business to business sales, marketing, and leadership strategies. Join Cascade Insights CEO Sean Campbell as he interviews experts in business to business (B2B) marketing, sales, and leadership. Bain’s Eric Almquist and Jamie Cleghorn have uncovered and organized the values that drive B2B buying decisions. Jeb Blount, the author of Fanatical Prospecting, has no shortage of advice for sales teams. After authoring ten books, he’s especially focused these days on prospecting and maintaining a sales pipeline. Hemant Taneja, the Managing Director of General Catalyst and author of Unscaled, joins us to chat about A.I. and the economy of the future. The great unscaling will touch everything. Kim Christfort, author of Business Chemistry, joined us to talk about their work on understanding business relationships. Using a scientific approach, they've uncovered a new way of classifying business chemistry styles. Chloë Thomas, author of “B2B eCommerce MasterPlan” joins us to talk about B2B eCommerce. Todd Henry joins us to discuss how to effectively lead creative teams. Todd's Book - Herding Tigers: Be the Leader Creative Teams Need. How to Tie Creative Work to Business Goals. David Feinman joins us to discuss viral video marketing. You Can Pay Bills With Sales, Not With Likes. Picking the right subject for your video efforts. Setting your sights on micro-viral videos. Caleb Breakey explains why not everyone should write a book. How you can build your business with a book. Dan Cox has some strong opinions on the importance of people’s values in the workplace. Darcy Kurtz understands the need for marketing to massage its internal messaging. Trish Bertuzzi pulls back the curtain on SDR management. Samantha Stone weighs in on the impact of narcissism. 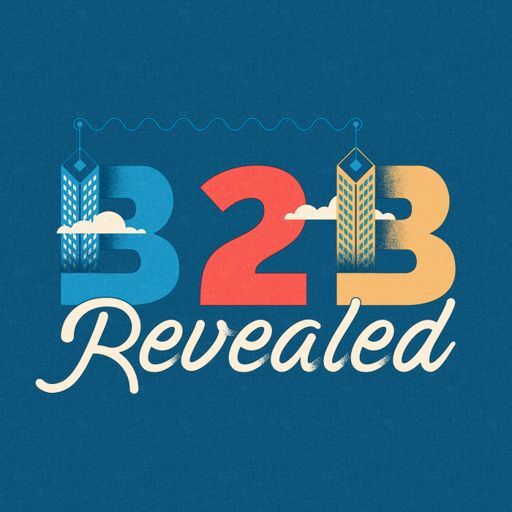 Why B2B Marketing Has A Vanity Problem. AJ Wilcox explains that LinkedIn ads can cost you big time if you don’t think ahead. When You Should Spend On LinkedIn. Nicole Rodrigues takes a firm stance on organic vs. pay-to-play PR. Organic vs. Paid Options for PR. Kwame Christian shows that everything is a negotiation. Why Negotiation is More Common Than You Think. What Christian Has Learned From Hosting His Show Negotiate Anything. Craig Walker, that’s who - and in the process changed conference calls for everyone. How UberConference Was Able To Build a Pin-Less Conference System. Ryan O’Donnell surprises everyone by insisting that cold emails can still provide a useful service. Troy Hazard believes stories should spellbind audiences — not bore them with statistics. Why You Need to Start with a Story. Phil Singleton attests to the necessity of balancing relevance and utility. Adele Sweetwood explores the connection between data, creativity, and marketing success. Ryan Singel believes that businesses need net neutrality to survive. Why Net Neutrality Is So Important to Businesses. What the Impending Repeal Might Mean. Tom Shoemaker explains why you losing touch with a customer is never irreversible. Steve Smith discusses how professional service firms can survive. August Jackson delves into the strategy, systemization, and ethics of CI. Jill Konrath discusses the importance of taking control of your time. Charlie Nooney explains how to lead through a market transition. Nic Read shows us how to blend a team’s skillset into a single sales process. What the Avengers Have To Teach Modern B2B Sales Teams. What Nic Learned From Talking To Over 1,000 Salespeople. Matt Ipri knows how to effectively market a product in a new category. Educate customers in a niche.